WASHINGTON — Three witnesses ordered to testify Tuesday before a House committee investigating Hillary Clinton's use of a private email server asserted their constitutional rights against self-incrimination and did not appear or refused to answer questions. 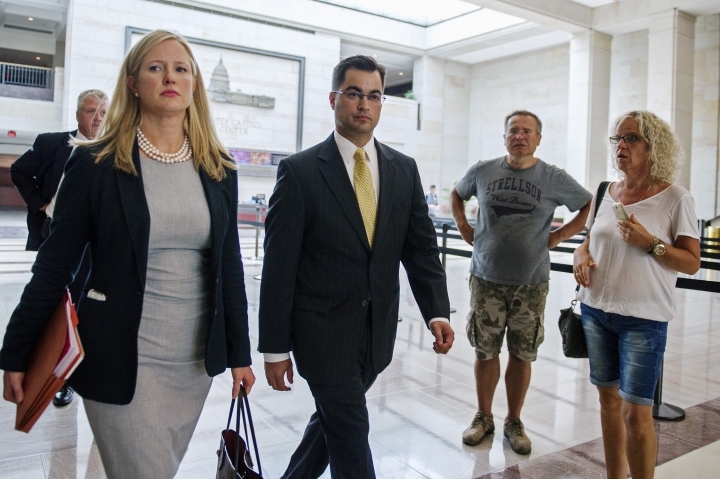 Bryan Pagliano, the former State Department computer specialist tasked with setting up Clinton's server, did not attend the Republican-led hearing. 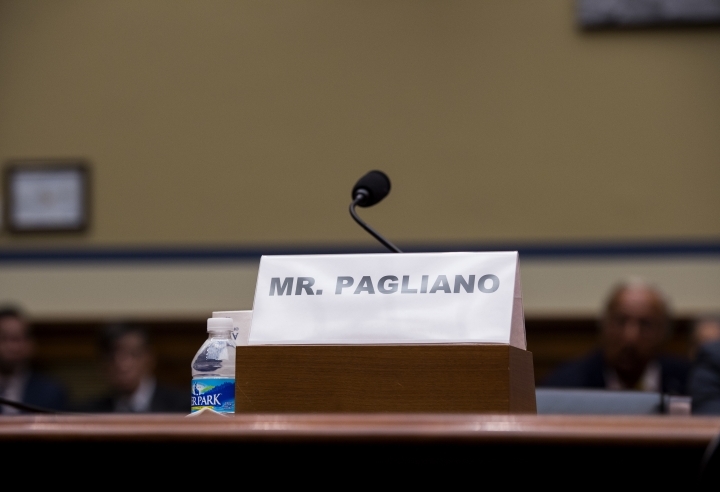 His attorneys said in a letter to the chairman of the Oversight and Government Reform Committee that Pagliano will continue to assert his constitutional right not to testify. "He has never made any statement or taken any action that would constitute a waiver of his constitutional rights and there is no reason for anyone to believe he might suddenly depart from that position," Pagliano's lawyers wrote in the Sept. 13 letter to Rep. Jason Chaffetz, R-Utah, the Oversight committee chairman. Chaffetz said there will be consequences for Pagliano's refusal to appear and for "thumbing his nose at Congress." He didn't specify what the penalties would be. The email issue has shadowed Clinton's candidacy for president, and Republicans have been steadfast in focusing on her use of a private server for government business, with several high-profile hearings leading up to the election. 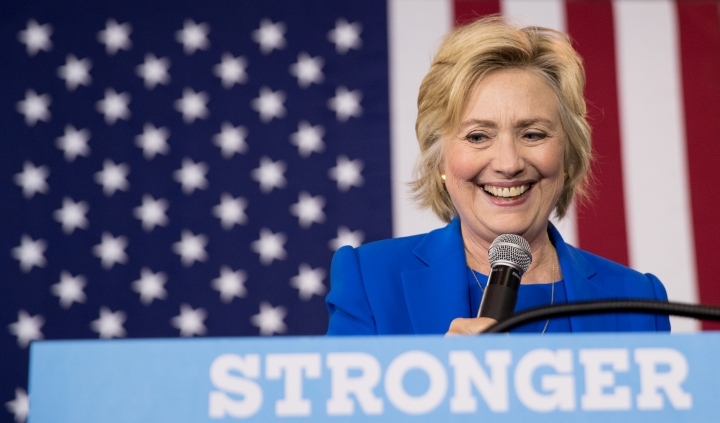 Congressional Republicans have cast Clinton as reckless with U.S. national security by insisting on using private communications systems at potentially greater risk of being penetrated by Chinese and Russian hackers. But Democrats insist the sole purpose of the hearings is to undermine Clinton's presidential bid. FBI Director James Comey last week defended the decision to forgo criminal charges against Clinton after a yearlong probe into whether she mishandled classified information that flowed through the private email system located in her Chappaqua, New York, home. Comey told bureau employees in an internal memo that it wasn't a close call. 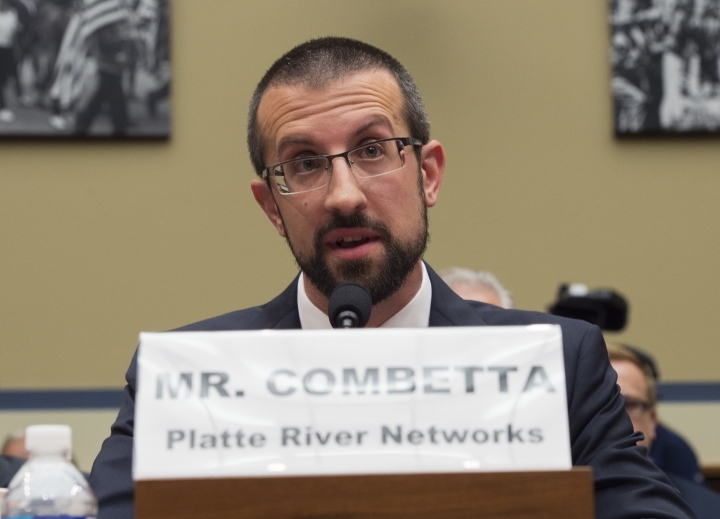 Two officials from Denver-based Platte River Networks appeared before the committee but invoked their constitutional right not to testify. Bill Thornton and Paul Combetta were excused from the session. In June 2013, after Clinton had left office, the server was moved from her home to a data center in northern New Jersey, where it was maintained by the Platte River Networks. One witness, Justin Cooper, a former White House aide to President Bill Clinton, was the lone witness and answered the committee's questions for nearly two hours. His attorney, Howard Shapiro, sat behind him. Chaffetz described Cooper as a former employee of President Bill Clinton and the Clinton Foundation. He said Cooper purchased the first server used by Hillary Clinton. Cooper also registered the email domain "clintonemail.com" in 2009, when Clinton's nomination to be secretary of state was being considered by the Senate. Cooper also told the FBI that he helped Hillary Clinton set up her mobile devices, according to Chaffetz, and "when she was finished with them he would break them in half or destroy them with a hammer." All of the content on the old mobile devices was first backed up and transferred to the new devices, Cooper told the committee. He explained the reason for destroying a device was to ensure that no one pulled it from the trash "out of curiosity" and tried to use it. "I felt that that was good practice at the time," Cooper said. Cooper, who now runs his own consulting firm, told the committee that he did not have a security clearance during the period he performed the IT work for Hillary Clinton. He also said he wasn't an expert in communications security. He told lawmakers that he couldn't say whether any secret information had been purloined by foreign hackers or that U.S. national security had been compromised. In response to a question from Rep. Mark Meadows, R-N.C., Cooper said he had not been part of any conversations that involved attorneys discussing the erasing of Clinton's emails.